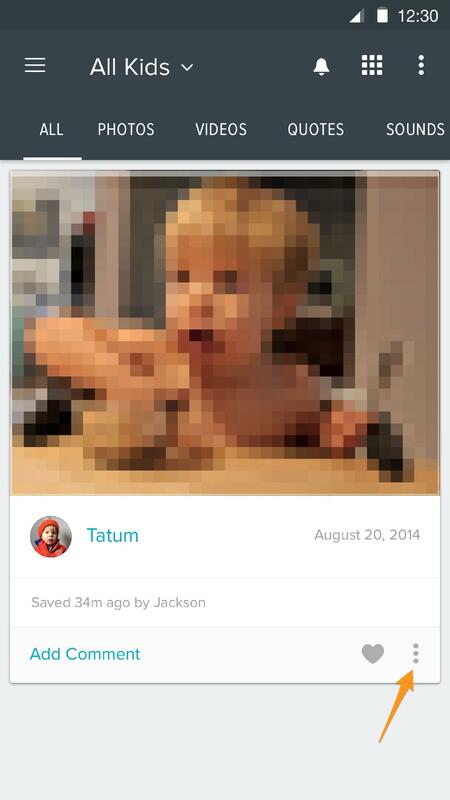 Show off your kid's moments outside of Notabli by sharing them via text, email, or on social media. 1. 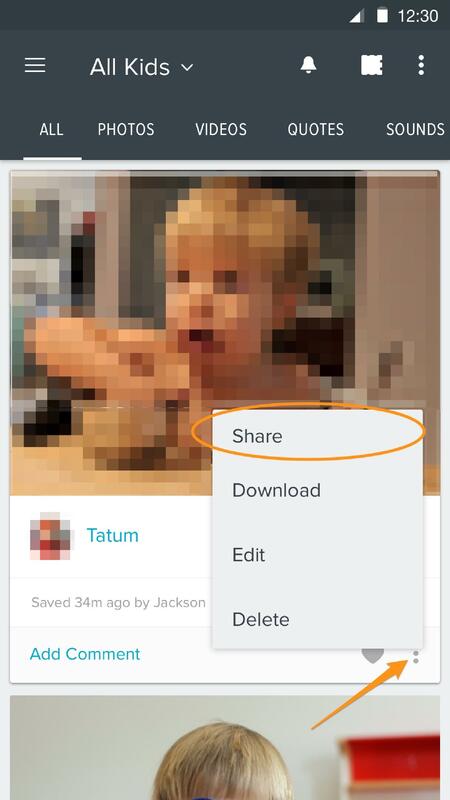 Select the share icon (blue box with an arrow coming out) in the bottom right of a moment. 2. Choose your share method from the options that appear (scroll right for more options).